Connemara marble earrings are available as both stud and drop styles. 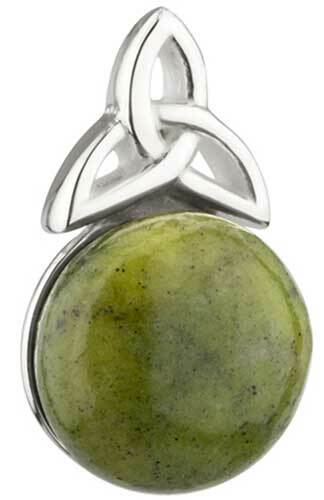 These Connemara marble earrings in our collection feature Irish motifs along with Celtic icons. 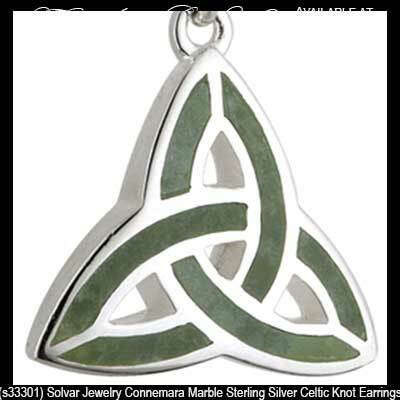 This trove of Irish jewelry from The Irish Gift House features Connemara marble earrings that include the Claddagh along with the shamrock and Celtic knots; additionally several pairs do not incorporate any traditional design and simply focus on the green Irish stone. 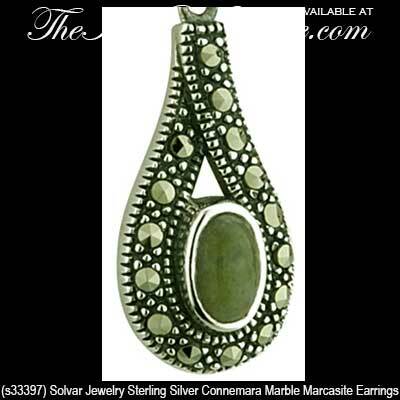 You will also find that marcasite stones are a popular added accent in many pairs of Connemara marble earrings. Some of the beaded Connemara marble earrings include semi precious garnet or amethyst stones for a splash of contrasting color. Claddagh earrings are crafted in 10K gold and they are accented with Connemara marble hearts. 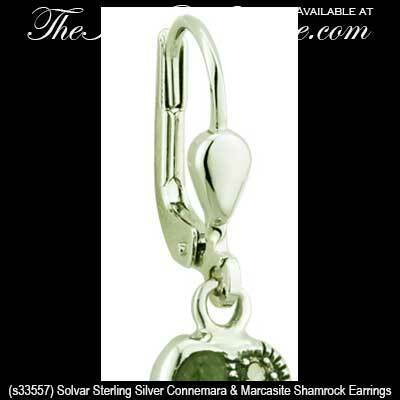 Sterling silver shamrock earrings are enhanced with both Connemara marble and marcasite stones. 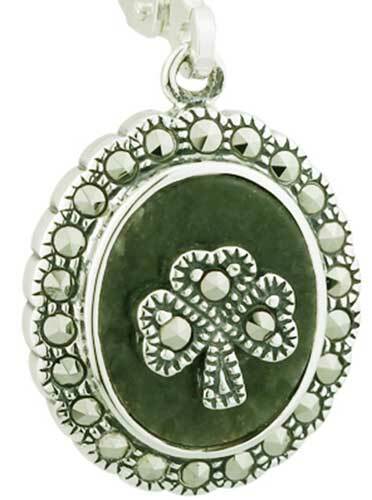 Shamrock earrings are cast in sterling silver and feature inlaid Connemara marble leaves that are accented with marcasite stones. 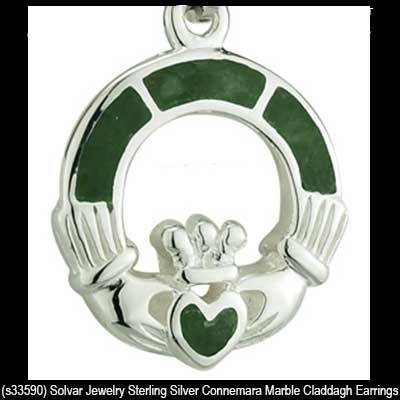 Claddagh earrings are crafted in sterling silver and they are accented with Connemara marble along with marcasite stones. 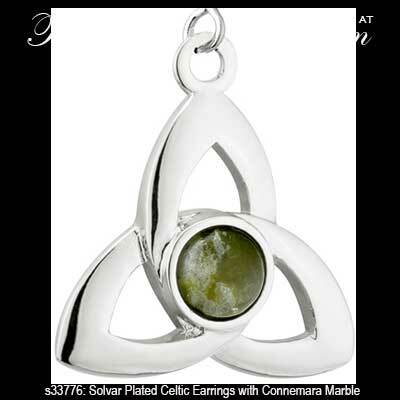 Celtic earrings are cast in sterling silver and feature the classic Trinity design that is inlaid Connemara marble. 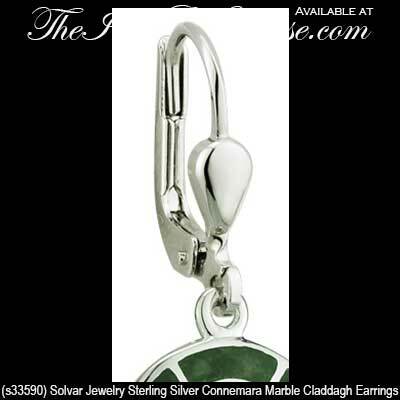 Connemara marble Claddagh earrings are crafted of sterling silver and accented with inlaid stone. 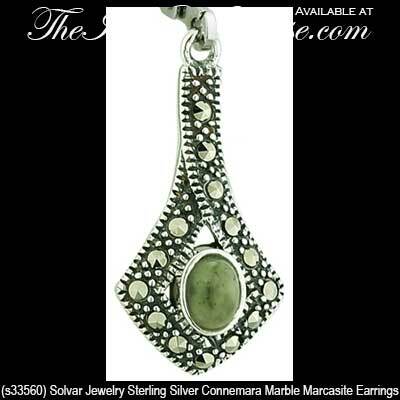 Connemara marble earrings are crafted in sterling silver in a drop style that is enhanced with marcasite stones. 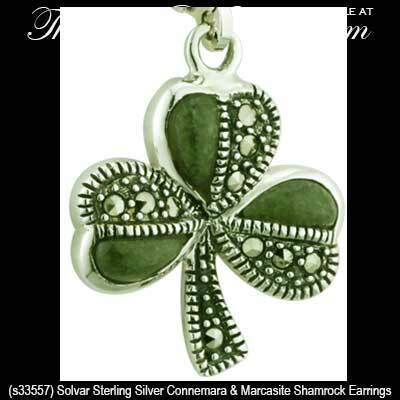 Connemara marble shamrock earrings are crafted in sterling silver. 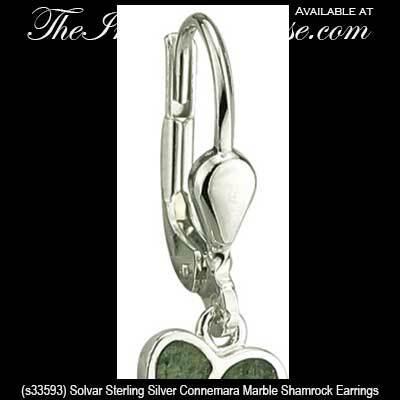 Sterling silver Connemara marble earrings are a drop style design. 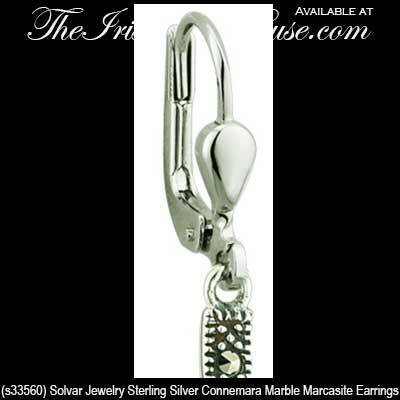 Connemara marble earrings are a drop style that are crafted in sterling silver. 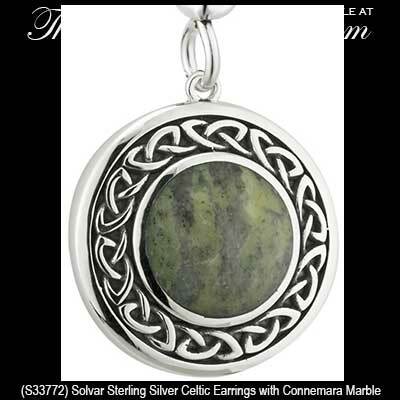 Celtic earrings are cast in sterling silver and feature domes of Connemara marble that are surrounded by an open knot design that is enhanced with marcasite stones. 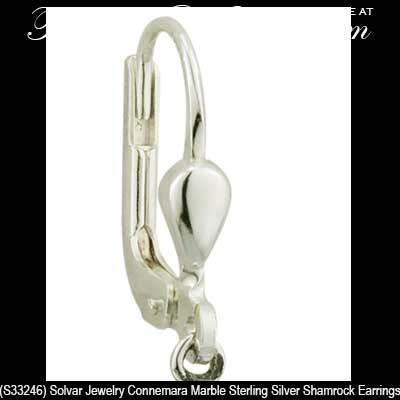 Sterling silver Claddagh earrings are enhanced with Connemara marble along with Celtic Trinity knots. 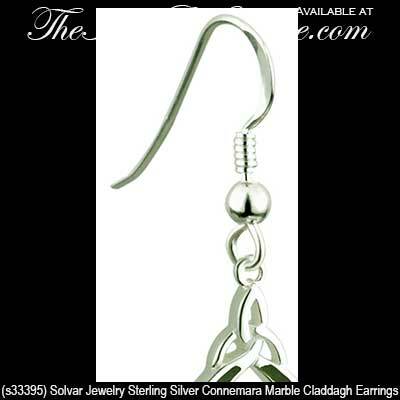 Sterling silver Celtic earrings feature Trinity knot caps along with long Connemara marble stones. 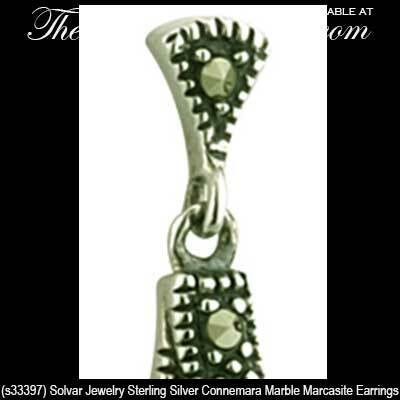 Connemara marble earrings feature sterling silver and are a drop style on posts that are enhanced with marcasite stones. 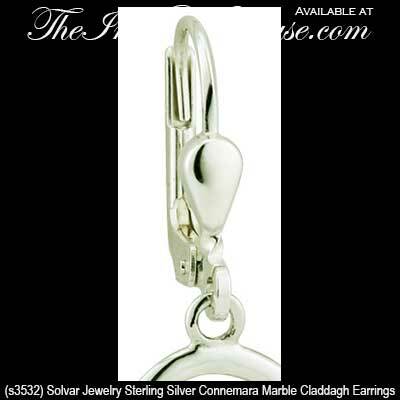 Sterling silver Claddagh earrings feature hearts that are accented with inlaid Connemara marble. 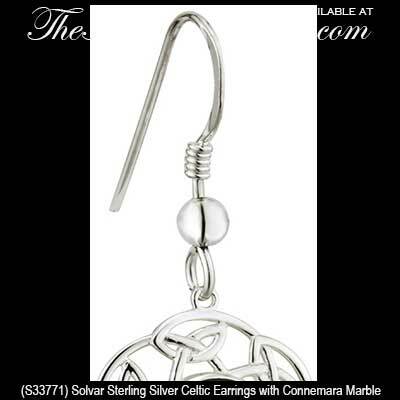 Celtic drop earrings are crafted in sterling silver and feature polished domes of Connemara marble that are surrounded with embossed knot-work. 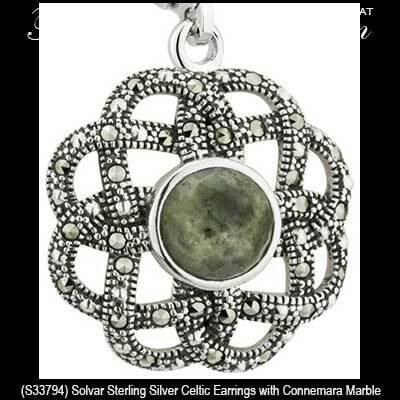 Sterling silver Celtic earrings features a dome of Connemara marble in the centers along with filigree knot-work around the edges. 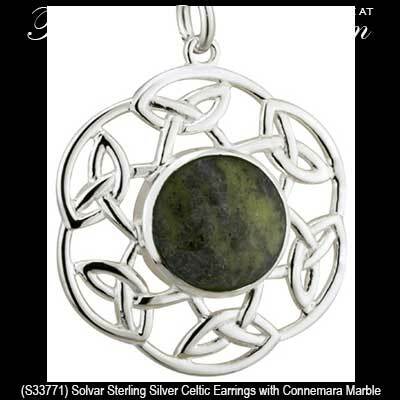 Celtic earrings feature sterling silver Trinity knots above half round Connemara marble orbs; the Connemara marble is enhanced with sterling silver disks against the backs. 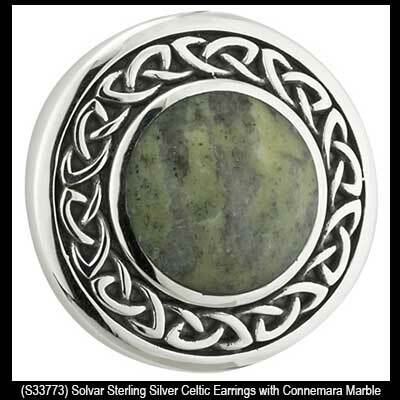 Sterling silver Celtic stud earrings feature polished domes of Connemara marble that are surrounded with knot-work. 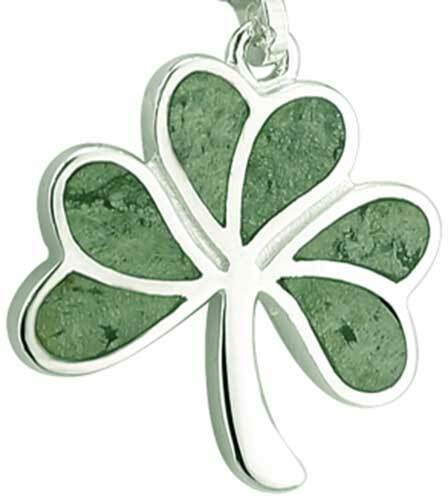 Shamrock earrings feature inlaid Connemara marble in the leaves along with a rhodium plated finish. 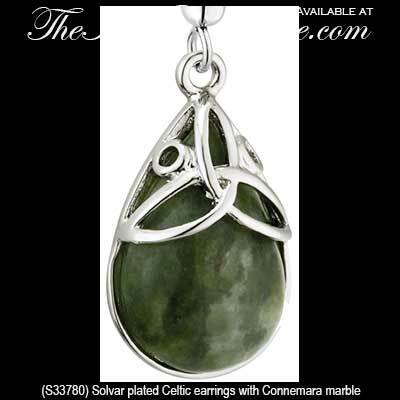 Celtic drop earrings are plated designs that feature polished domes of Connemara marble that are surrounded with knot work. Connemara marble earrings are enhanced with amethyst stones along with silver plated over pewter beads that features a knot-work motif. 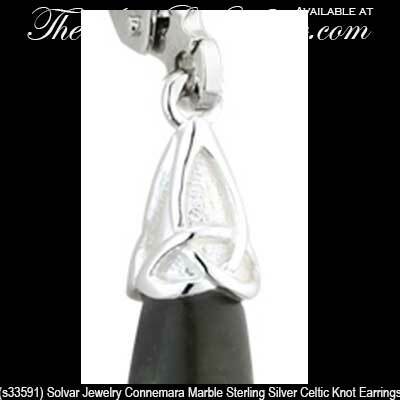 Celtic drop earrings are a plated design that feature Trinity knots that are enhanced with a polished dome of Connemara marble in the center. 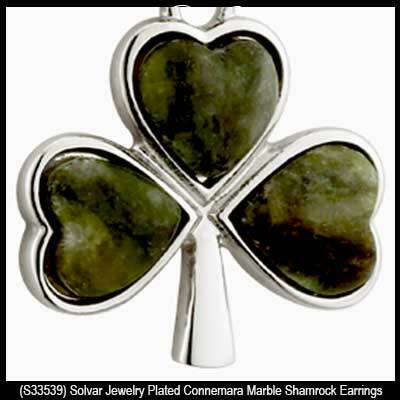 Irish earrings are a rhodium plated design that feature inlaid Connemara marble. 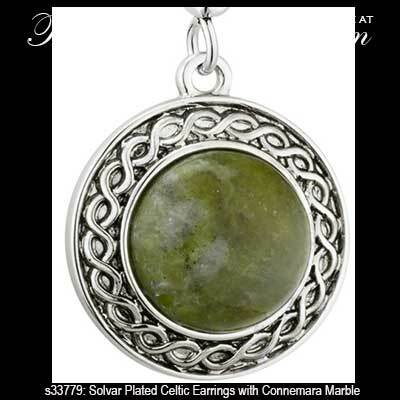 Once you have selected the perfect pair of Irish earrings you may most likely want a matching Connemara marble necklace and you will be in luck as you will visit and choose from a very large assortment. Our collection of Connemara marble earrings are either sterling silver or silver plated so if you are looking for gold earrings we will have to send you to different sections on our site. For instance The Irish Gift House has a very well stocked selection of gold Claddagh earrings that you will find in hoop, drop and stud styles and additionally many of the pairs feature diamonds and other stones. Naturally we also feature gold shamrock earrings that are white, yellow or two tone and again you will be able to select from precious stones that include diamonds and emeralds. No surprise here as we also have dozens of pairs of gold Celtic earrings that feature several designs including the Trinity and you may select from drop and stud styles. If you would like to look at designs that are less dear you will be happy to know that we have gold plated designs in each of the respective categories. 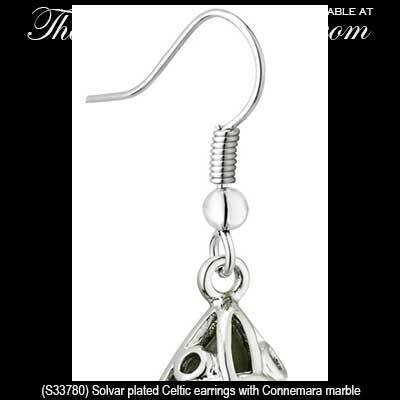 This collection of Connemara marble earrings was crafted in Ireland by Solvar or by All That Glisters.